I saw Cirque's Le Invader from their Arcus collection and needed it. Needed it. 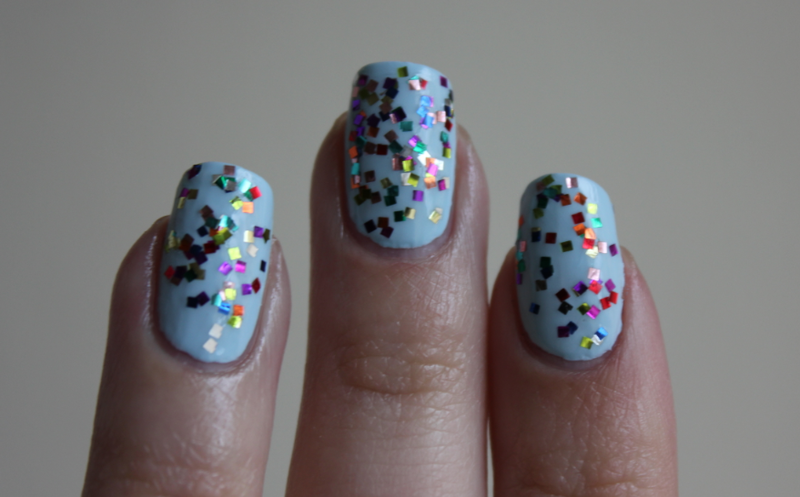 Multicolor, super shiny SQUARE glitter pieces? How often can I look at a nail polish and know I have nothing even close to it already in my collection? This was easily one of the most unique glitters I had ever seen and I Needed It. 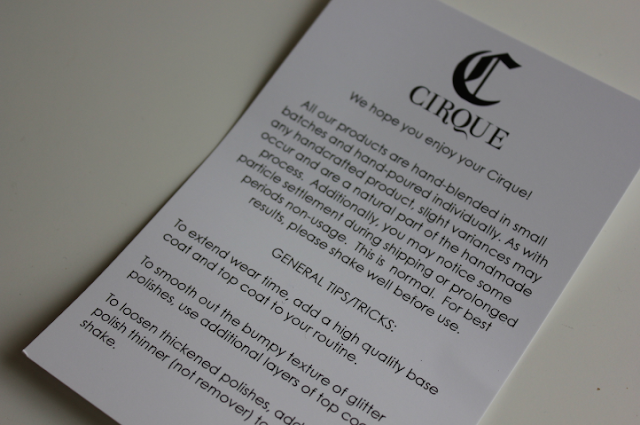 Their site says that "Cirque is an artisanal line of hand-blended nail polish made in New York. 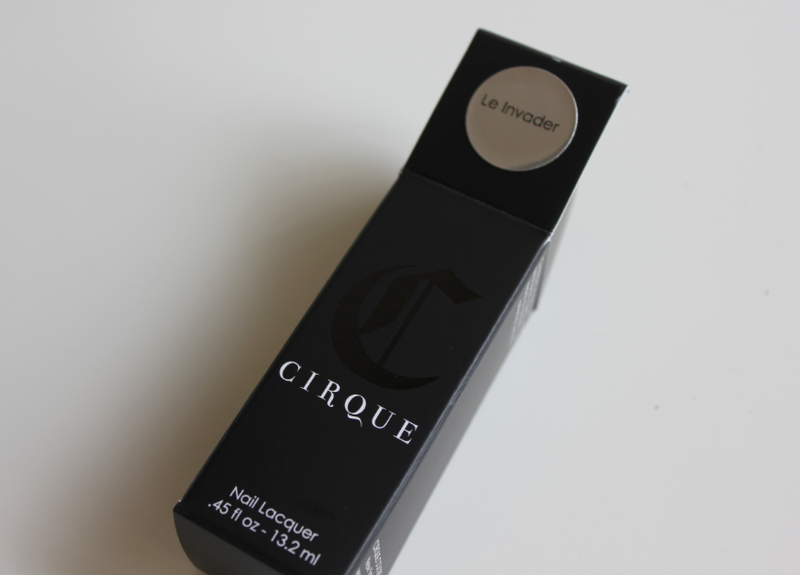 Cirque nail lacquer is 3-Free, which means it does not contain toluene, formaldehyde and dibutyl phthalate (DBP). Each bottle holds .45 oz / 13.2 ml of product and contains high quality essential oils, such as lavender and clary sage, to lend your hands a subtle scent after the polish dries. All our products are are hand-mixed in small batches and hand-poured individually. Slight variances may occur and are a natural part of the handmade process." It's like a professional brand with an indie formula so it's the best of both worlds. 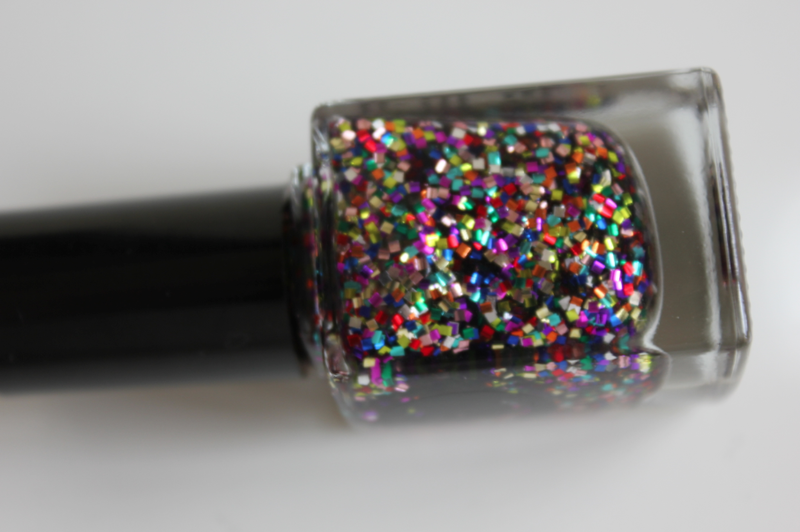 You get the chunky, big glitters that are unique to indie polishes yet you don't have to order from some sketchy website or unreliable Etsy seller. I decided to pair it with Essie's Borrowed and Blue, a light baby blue so the glitter would stand out as much as possible. This is all one coat. One coat. 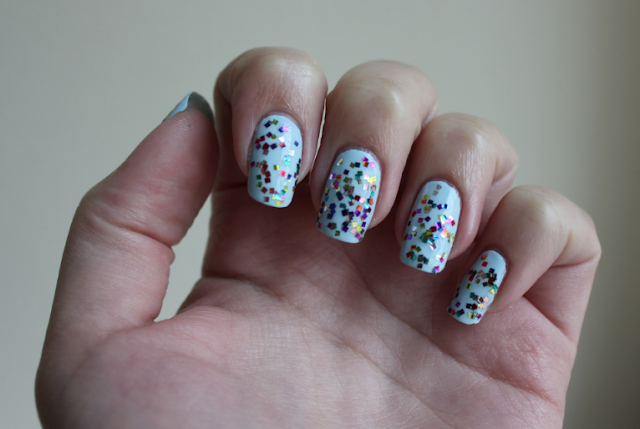 This isn't a sparse, wimpy glitter at all. 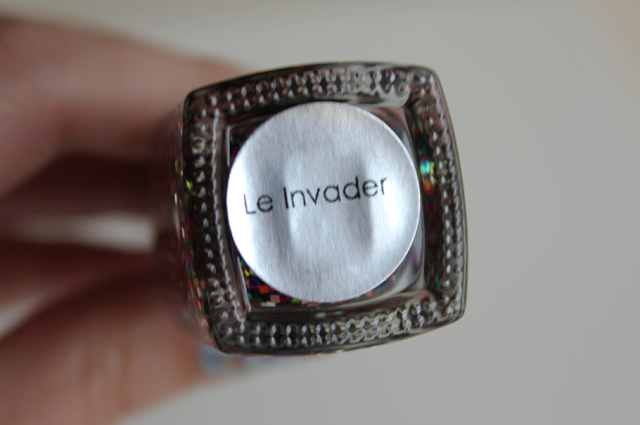 The glitter pieces totally coat your nails and the pieces themselves are really metallic and pick up the light to give them a gorgeous shine. You can order Cirque polishes here.